Four local authors will team up to engage with and enlighten readers on Saturday, November 24, 2012, at Destinations Booksellers. 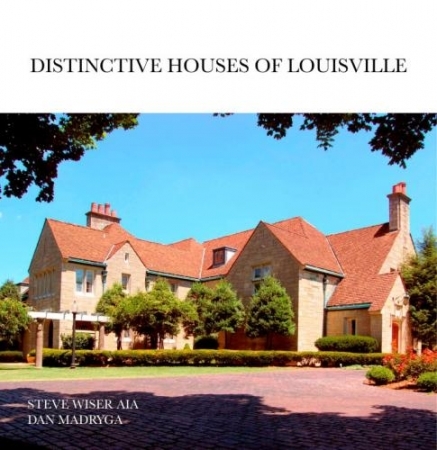 In a long-awaited return visit, Louisville architect Steve Wiser unveils the second book in his series of books about remarkable houses in our region – Distinctive Houses of Louisville. His previous book, Modern Houses of Louisville sold out, but Wiser says that book will be reprinted, in hardcover this time, to complete a 3-book set. The other book planned is Historic Houses of Louisville. Wiser appears at 1 p.m. All proceeds from the current book go to benefit Visually Impaired Preschool Services (VIPS). One-half of the couple who operated the riverboat Bonnie Belle along Clark County’s Ohio River waterfront will debut her memoir, Welcome Aboard … Meet the Captain! Bonnie Poore and Capt. Lloyd Poore constituted a special river couple and Bonnie will share their challenges and accomplishments with a noon appearance. Beverle Graves Myers will introduce readers to the first novel in a planned series which she co-authored with Joanne Dobson. Face of the Enemy: A New York in Wartime Mystery begins amidst the paranoia that followed in the wake of the attack on Pearl Harbor. Myers talk and booksigning will begin at 2 p.m.
Clark County historian Jane Sarles will debut her newest book, Looking Back, which is based on her popular column that appears regularly in The News and Tribune. Explore over 100 years of area history from the pages of Clark and Floyd counties’ leading news sources starting at 3 p.m.
As a special incentive for those attending any of the booksignings and author talks, the store is making John Findling’s Louisville in Vintage Postcards available at a 40% discount throughout the day. Findling is professor emeritus of history at Indiana University Southeast and a partner in a stamp and vintage postcard business, Collectors’ Stamps, Ltd., the source for most of the postcards in his book. Destinations Booksellers is open Monday through Saturday from 10 a.m. to 6 p.m. at 604 E. Spring Street in New Albany. If you are unable to make it to any of these events you can order by phone and request a personalized autograph for any of these authors’ books. This sounds just wonderful — very exciting for New Albany and the authors.